Europe believes that NABU and SAP should have a separate court. Deputy head of EU Delegation to Ukraine Thomas Frellesen and head of the EU Anticorruption initiative Eka Tkeshelashvili voiced their support for the launch of the anticorruption court. "One cannot overestimate the importance of the creation of the anticorruption court in Ukraine," Tkeshelashvili said on 14 June as quoted by the website of the EU Delegation in Ukraine. She said the main goal of the EU anti-corruption initiative is aimed at implementing anti-corruption policies in Ukraine, including through the support of the newly created anticorruption agencies like NABU and SAP. Frelllesen, in turn, noted that the launch of the anticorruption court will allow to complete the chain of the anticorruption bodes and see the real results of their work. "We are confident that EU Anticorruption initiative will make a significant contribution to the corruption struggle in Ukraine," her concluded. Currently the cases investigated by the NABU are being considered by the court of Kyiv's Solomyanskyy District, where the NABU is headquartered. The anti-graft agency has repeatedly expressed dissatisfaction with the decisions of this court and demanded the creation of a High Anti-Corruption Court to review all cases investigated by NABU, and whose verdicts could be appealed only in the Supreme Court. 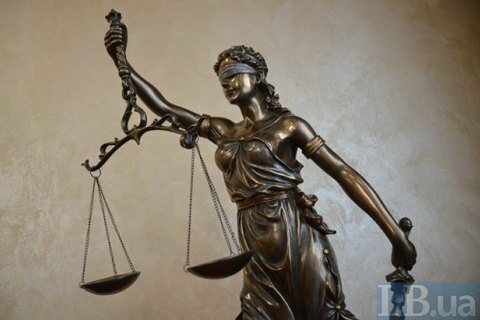 The US and EU has repeatedly urged the soonest creation of an anti-corruption court in Ukraine. The Supreme Council of Justice and the Prosecutor General's Office of Ukraine oppose the plans.